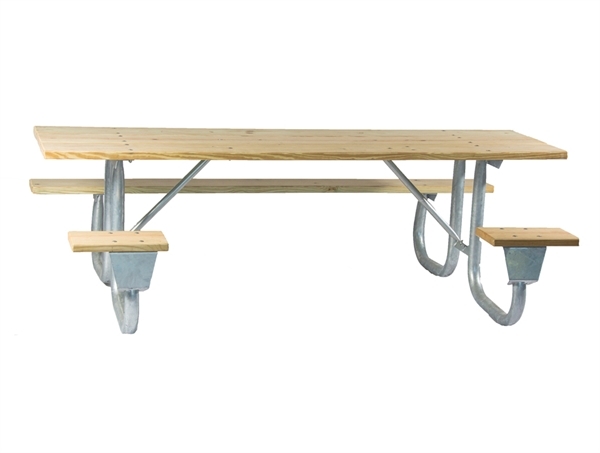 This ADA 'J2' picnic table frame is made of heavy duty galvanized 2 3/8 inch O.D. schedule 40 pipe. Center cleat holds top level and the 1 15/16 inch O.D. cross braces. 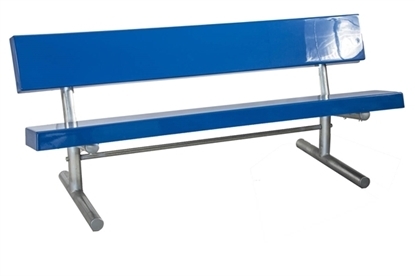 This frame can be used for 6 foot picnic table plank with an opening in the center for wheelchair access. Purchased as frame set only.